Anchorage may not get a lot of sun in the winter, but solar energy is becoming more popular around town. 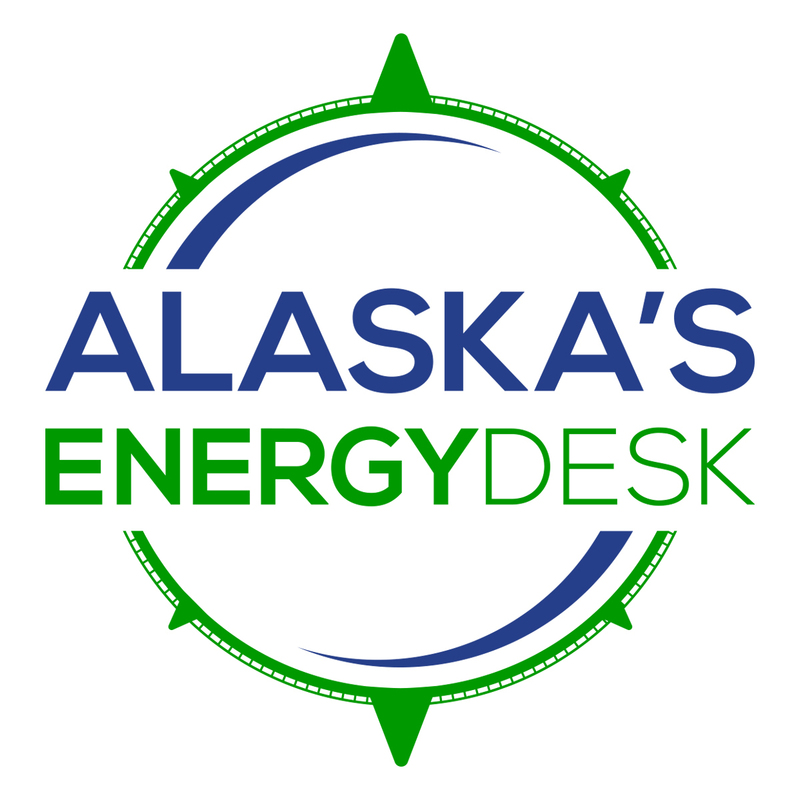 From the Anchorage Solar Building to the Alaska Aviation Museum’s solar tracking array, establishments are doing their part to go green. 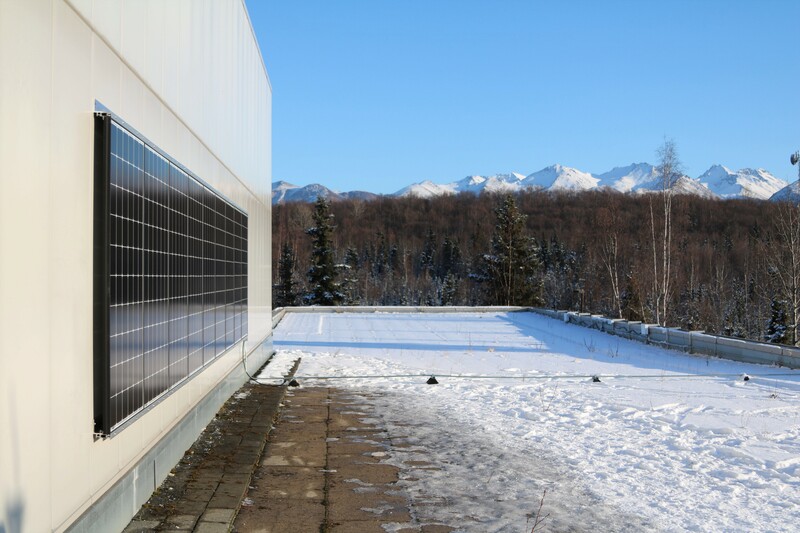 Several UAA students recently had nine solar panels installed on one of the university’s buildings. Even though it’s a small contribution to energy efficiency, they’re hoping it will have a larger impact over time. Alexandria McLearen talks about the new solar panels like she’s describing a childhood dream come true. She’s been intrigued with solar panels since she did her first ever science project on solar energy as a kindergartner. “I literally have chills about it. I’m so excited,” McLearen said. McLearen is a member of the Green Fee Board — the campus organization that pushed to get the panels installed on the Administration and Humanities building. The Green Fee Board has funds to support projects proposed by students that demonstrate economic solutions to environmental problems. McLearen says she brought the solar panel idea to a previous student government president. “Students want sustainable energy, we want to move in the right direction,” McLearen said. The power generated by the solar panels go directly to the building. They’ll provide around 3 to 7 percent of the building’s power in the summer. That may not sound like a lot, but the Admin building is home to the office of the chancellor, student affairs, academic affairs, university advancement, administrative services and a number of classrooms. Heather Jesse is an economics student who worked alongside McLearen to complete the project. She says the Admin building wasn’t the team’s first choice. “We originally wanted it on Rasmuson [Hall], because it was more visibility for campus. We had them do a walk through, they told us that was not going to be optimal for generating the most solar, so we settled here, which turned out to be an even better place, I think,” Jesse said. Jesse is currently working on a monitoring and measuring system that will go online. Students will be able to see how much of the building’s power is being generated by the panels and how many kilowatts have been saved. There are no other solar panels currently installed at UAA. ML&P significantly increased the price of electricity last summer. Jesse hopes the solar panels will help even out the extra cost. “As an economics student, I’m super stoked that we’re going to be helping to lower the costs of tuition for students that we’re helping offset the increase in ML&P,” Jesse said. It costs around $1,000 per panel to have them installed and wired into the electric grid. McLearen and Jesse are optimistic that the Green Fee Board will eventually install more panels, but they are currently working on other sustainable projects. Jesse is in the process of drafting an initiative to install five more panels for the spring semester.